* Introducing the Zippo Hand Warmer. * Built for winter warriors, it features a sleek and compact design, and fits easily into pockets, gloves and pants without the bulk of other warmers. 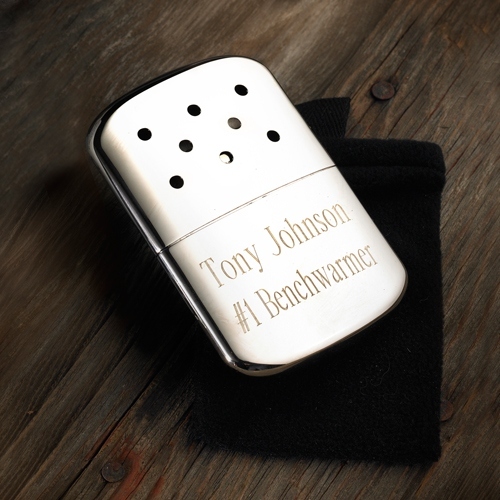 * The Hand Warmer uses Zippo premium lighter fluid (not included) to produce more than 10 times the heat as traditional models and lasts for up to 24 hours. * Plus, it comes with Zippo's one-year guarantee, making the Zippo Hand Warmer a perfect fit for any outdoors enthusiast.